On Friday, November 16, North Carolina Governor Roy Cooper will present the 2018 NC Awards in a ceremony at the Raleigh Convention Center. The ceremony begins at 7:00 pm; tickets are still available here. The state’s highest civilian honor, the North Carolina Award, will be presented to six distinguished North Carolinians. The 2018 honorees are Carolyn Q. Coleman of Pleasant Garden for Public Service; Bill Leslie of Cary for Fine Arts; Michael A. McFee of Durham for Literature; Barbara B. Millhouse of Winston Salem for Fine Arts; Gene Roberts of Bath for Public Service; and William L. Roper of Chapel Hill for Public Service. Michael McFee is an institution in the UNC-Chapel Hill English Department, where he has taught since 1990. 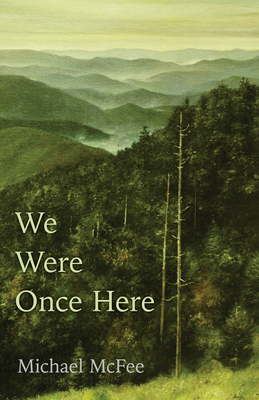 The author of sixteen books, McFee has published eleven volumes of poetry, two essay collections, and is the editor of several anthologies of North Carolina literature. McFee is a distinguished writer and poet whose celebrated works include Vanishing Acts and We Were Once Here. His honors include a National Endowment for the Arts Fellowship in Poetry, the James Still Award for Writing about the Appalachian South, the R. Hunt Parker Memorial Award for Literary Achievement, and the Thomas Wolfe Memorial Literary Award. McFee is a devoted teacher, mentor, and dedicated champion of the literary culture of North Carolina. On June 22, 1961, the General Assembly established the North Carolina Awards, the highest civilian honor the State of North Carolina can bestow. Past recipients in literature include NC Literary Hall of Fame inductees Betty Adcock (2014); A.R. Ammons (1986); James Applewhite (1995); Doris Betts (1975); Fred Chappell (1980); Burke Davis (1973); John Ehle (1972); John Hope Franklin (1993); Jaki Shelton Green (2003); Paul Green (1965); Allan Gurganus (1999); Randall Kenan (2005); Margaret Maron (2008); Jill McCorkle (1999); Joseph Mitchell (1984); Robert Morgan (1991); Penelope Niven (2004); Guy Owen (1971); Frances Gray Patton (1970); Reynolds Price (1977); Sam Ragan (1979); Glen Rounds (1981); Louis Rubin, Jr. (1992); Lee Smith (1984); Shelby Stephenson (2001); Thad Stern, Jr. (1974); and Manly Wade Wellman (1978). Other recipients include NCWN trustee Dr. Margaret D. Bauer (2017) and former NC poet laureate Joseph Bathanti (2016). To learn more about the NC Awards, click here. For tickets to Friday’s event, click here. This was written by charles. Posted on Tuesday, November 13, 2018, at 8:50 am. Filed under Uncategorized. Tagged literature, michael mcfee, nc awards, NC Literary Hall of Fame, politics, roy cooper. Bookmark the permalink. Follow comments here with the RSS feed. Both comments and trackbacks are currently closed. ‹ Vote for Our Fall Conference!